Futures-Past Editions, pioneering the digital publication of science fiction, fantasy and horror since 2002, has just signed a contract with the Estate of Stuart J. Byrne to become the only Authorized publisher of the works of Mr. Byrne in all formats throughout the world. "Although my father's public domain work has been issued in various forms by a number of publishers over the years, Futures-Past is the only one to to offer to pay royalties for the use of his work," said Byrne's son Richard Byrne. "The publisher is a long-time fan of my father and owns many of the original pulp magazine containing his stories." Gene Roddenberry, Star Trek creator, said he'd "wait in line in the rain for one of Stu Byrne's stories." But you don't have to stand in line in the rain to read them! 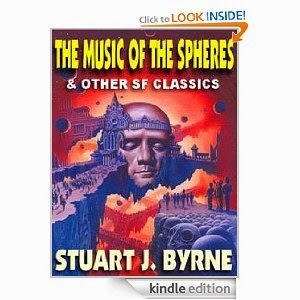 Read all this legendary 1950s sf author's stories in The Music of the Spheres, this first-ever collection brought to you exclusively by Futures-Past Editions. These sf classics were never reprinted and were all but unobtainable for fifty years. Drawn from pages of magazines whose very titles evoke sf's golden age (Other Worlds, Imagination, Amazing, Science Stories, etc. ), these are true "sense-of-wonder" epics that will hold you fascinated even as they provoke you to think. 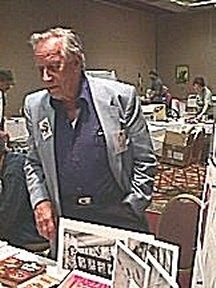 With his unique blend of adventure, romance, hard science and metaphysics, Byrne was one of the greatest, and most readable, sf writers of his age. Now you can read lost classics like "A Space Ship Named Desire," in which a spaceman begins to wonder if the soul of his dead wife might have begun to haunt his ship; the powerful off-world love story, "Beware the Star Gods"; the haunting novelette of a harsh dictator's strange encounter with fate, "The Bridge"; the hilarious spoof of alien invasions, "Gsrthnxrpqrpf: and others. Plus, as a special bonus, you will find the first ever publicaton of three stories with themes so hot, they were rejected as too controversial by sf editors of the time! "The Man who Challenged God" is quite literally about what the title says; while "The Ghost of Future-Past" may be the most metaphysical sf story every written; discover for yourself the then taboo topic of "A Star Fell on Okajuma." This first-ever edition of The Music of the Spheres contains a special introduction by the author, as well as introductions to the individual stories. Decide for yourself if Gene Roddenberry was right! After reading this collection, maybe you'll find yourself willing to stand in line in the rain just to read another book by Stuart J. Byrne.